On April 30th, one of the major problems plaguing the economic world was partially rectified overnight. The International Comparison Project at the World Bank revised their purchasing power parity (PPP) data for 2011. PPP is a measure to balance the exchange rate between countries based on the purchasing power of of their currencies. PPP is calculated through a basket of goods. For example, if the Thai Baht is able to purchase more food relative to the US dollar, the PPP adjusts accordingly. 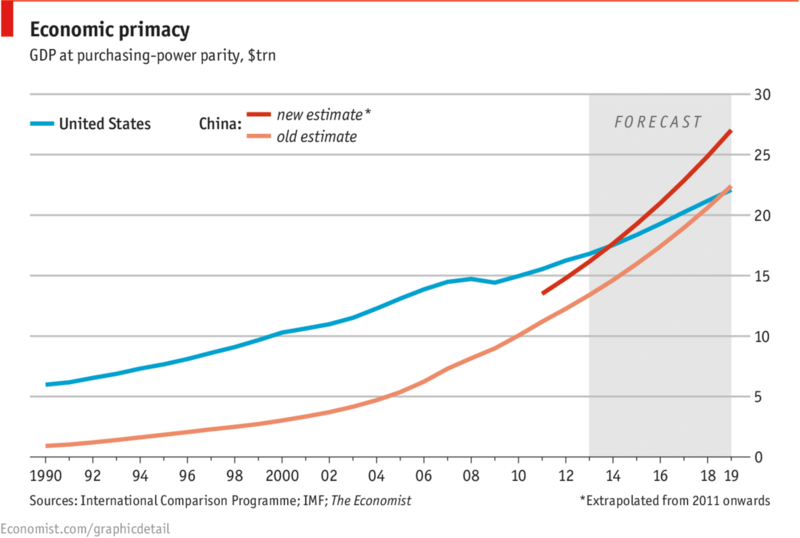 One of the geopolitical implications of this change is that China’s economy is now larger than anticipated. The Economist reported that China’s PPP exchange rate is 20% larger than previously considered. This tweak of numbers means that, depending on estimates, China is the largest economy or will shortly be the largest economy in the world. Certain caveats need to be remembered, mostly that numbers self-reported by China always need to be taken with a grain of salt. That being said, the rebalancing is a reminder of what the future holds in store. China’s inevitable rise is not the only news to come out of the International Comparison Project’s report. PPPs for 199 countries were redone, including most of the world’s developing countries. Sarah Dykstra, Charles Kenny, and Justin Sandefur from the Center for Global Development analyzed the numbers in the report and found an astonishing fact. 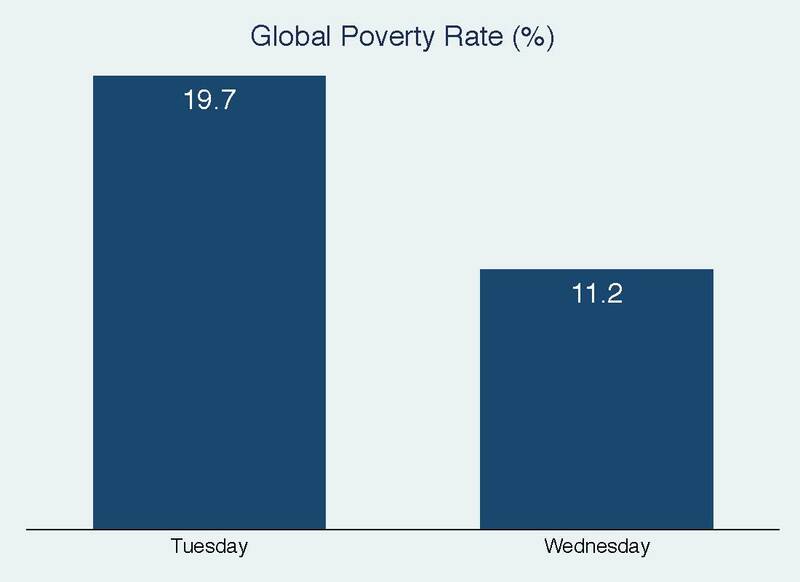 Based on the new PPPs, global absolute poverty in 2010, defined as living on $1.25 a day, dropped from 19.7% to 11.2%. For example, Bangladesh’s GDP PPP per capita increased from $1,733 to $2,800. This revision caused 247.9 million Indians to no longer be below the absolute poverty line. It also means that more of the world’s absolute poor are now concentrated in Sub-Saharan Africa, increasing from 28% of global absolute povery to 39%. The reason for these drastic changes in figures is that inflation rates rose faster than the prices in the baskets of goods used in PPP calculations, which has been adjusted in the new 2011 numbers. While this may seem incredible, it merely reflects a statistical change in measurement. There is still no consensus on whether $1.25 a day is the right measure to use for determining absolute poverty, even if it is adjusted for PPP. Other indicators have been proposed over the years. The most famous is the UNDP’s Human Development Index (HDI), attempting to include health and education along with GDP per capita. 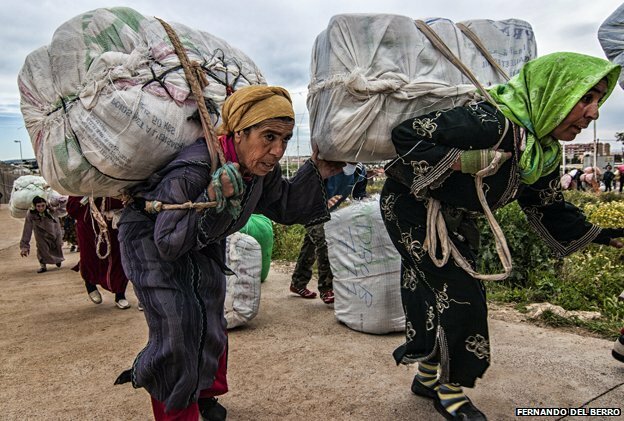 After examination, this was considered insufficient because it didn’t fully encapsulate the deprivations that poor people in developing countries face. The UNDP developed the Multidimensional Poverty Index, attempting to include things like the percent of the population that lacks a floor or clean water. As this is based on survey data, only 104 countries are included in the Multidimensional Poverty Index. Another argument is that the difference between somebody with an income of $1.25 a day and $1.26 a day is not even negligible. Many suggest raising the line at which we measure poverty above the $1.25 a day of absolute poverty and the $2 a day of extreme poverty, with Lant Pritchett suggesting using $15 a day as the international line. What people in poor countries purchase is also vastly different from what people in developed countries purchase, negating some of the benefits of PPP. Poverty lines also vary between countries, so there have been advocates to change the global poverty line to be adjusted more frequently and be comprised of an average of developing countries. This adjustment through PPP does not change the lives of those who are still living in poverty, whether their measured status changed or not by the new report by the ICP. They will still struggle to buy food and pay for school uniforms for their children, just as before. However, measuring global levels of poverty will remain important, as that which is measured gets fixed. With the end of the Millennium Development Goals in sight, there was much consternation about whether the MDGs would be a success. Even more important, there was more introspection among the the aid community about how to deliver their aid more effectively. From this soul-searching sprang the High Level Fora on Aid Effectiveness. After meetings in Paris, Accra, and Busan, a new agenda was adopted to include more country ownership of development, focus on results, inclusive partnerships, including civil society organizations and the private sector, and transparency and accountability. These meetings did not end with Busan. Recently in Mexico City, the First High Level Meeting of the Global Partnership for Effective Development Cooperation (GPEDC) was convened on April 15-16th. For the most part, the GPEDC reaffirmed their goals and principles, along with collaborating with other organizations, such as the United Nations Development Cooperation Forum. A large portion of increased advocating was centered on transparency, civil society organizations, and a stronger emphasis on results-based approaches. The GPEDC increasingly recognizes that Middle Income Countries (MIC) still contain sizable populations of poverty, necessitating plans and strategies to continue aid to MICs in more targeted ways. They also increasingly recognized the importance of South-South cooperation, business, and philanthropic organizations. Even though this was a two day event, 38 separate voluntary initiatives were agreed upon at the GPEDC. A couple of the voluntary initiatives stand out in particular. The UK’s Department for International Development (DFID), proposed a number of initiatives, one of which has been talked about in the past: development impact bonds. Development impact bonds allow investors to invest in development outcomes, with aid agencies compensating investors for meeting goals. While this has largely been the realm of theory, DFID announced that they are going to issue the first development impact bond. This commitment is a £1.5 million deal to design the development impact bond offering. Another organization, Instiglio, is working on a DIB to fund girls’ education in Rajasthan, India, with UBS Optimus Foundation investing, Children’s Investment Fund Foundation paying out, and Educate Girls implementing. These would be the first two instances of these particular products, marking the start of a possible new tool in the development toolbox. Another voluntary initiative announced at GPEDC was the Guidelines for Effective Philanthropic Engagement. This initiative, supported by the OECD Global Network of Foundations Working for Development (netFWD), European Foundation Centre (EFC), Stars Foundation, UNDP, and Worldwide Initiative for Grantmakers Support (WINGs) is set of voluntary, non-binding guidelines to aid collaboration between philanthropies and other stakeholders, including governments. These guidelines are grouped under three main themes: dialogue, data & knowledge sharing, and partnering. For dialogues, the initiative focuses on engaging in multi-level dialogues with all stakeholders while focusing on philanthropic foundations’ comparative advantage of risk tolerance and responsiveness. The initiative also emphasizes sharing data and knowledge between philanthropic organizations and governments about spending, inputs, due diligence assessments, impact evaluations, and others. Lastly, the Guidelines for Effective Philanthropic Engagement acknowledges the varied nature of philanthropic organizations, from large foundations like the Gates Foundation to small local foundations. Therefore, the Guidelines emphasize engaging in more partnerships and empowering local partners, utilizing all the tools available to philanthropic organizations to leverage the comparative advantage of each partner. This was the first of many meetings that should be taking place over the future. 38 voluntary initiatives is a large amount to carry out. Many of them are commendable goals, including the Development Impact Bonds and the Guidelines for Effective Philanthropic Engagement. As these are voluntary and non-binding, only time will tell of the efficacy and sustainability of everything undertaken, but it’s an interesting and promising step forward. In both developed and developing countries, governments are trying to figure out the vital components of a successful education system. Partially, this stems from the rate of return on education, with as little as 8.5% in OECD for primary education to 25.4% in Sub-Saharan Africa for primary education as reported by the World Bank, though some of these figures are disputed. The solutions range from teacher accountability through standardized tests to competition from private schools. Some trends have been emerging from the data, and common themes are starting to become apparent. Recently, the OECD came out with the results from the Programme for International Student Assessment (PISA), a cross-country test comparing the results in math, science, and reading of 15-year-old students. PISA is taken every 3 years in all 34 OECD countries, along with 31 developing countries who wish to participate, such as Jordan, Kazakhstan, Thailand, and Indonesia, among others. The stark results from this year was the drop of Finland and the rise of the East Asian states. Meanwhile, a number of developed countries underperformed the average, including the United States and Sweden. The mean score for OECD countries ended up being 494, with Shanghai-China attaining 613 and Peru propping up the table with 368. Test scores and economic growth vs. years of education and economic growth. PISA has found certain elements in school systems to be correlated with higher educational outcomes through test scores. High-performing school systems are more likely to distribute resources more evenly between socio-economically advantaged and disadvantaged areas. The better performers also tend to give more autonomy to schools, principals, and teachers over curricula and assessments than the lower performing schools. Better school systems also recruit and retain high quality teachers through higher salaries and more autonomy, although the correlation only works for countries with GDP per capita over $20,000. Finally, the less stratification there is in classes, by tracking gifted students into a separate track, the better the school test scores are. Other reports from various academics tend to corroborate the data that OECD has been producing. Eric Hanushek and Ludwig Woessman have done a large amount of research using PISA and data from other test scores. They found that 73% of variation between test scores is down to educational quality, with a higher effect in countries below the median GDP per capita. This effect is also magnified through the openness of trade withing a country. Over a long time horizon, a 20 year reform leads to 5% higher GDP, with the effect over 75 years after the room resulting in a 36% higher GDP than without the reform. Meanwhile, the effect of dollars spent or number of years of schooling have little to no effect on educational outcomes. The question then turns to the factors that improve educational quality. Charles Kenny found that an increase in school autonomy over budgets, hiring teachers, and course content improves scores on average 17 points, which would be a big swing for most countries. Adding a couple hours of instruction, assessments for student promotion, and monitoring by principals for lessons makes scores leap 42 points, which would be almost a 10% improvement for the OECD average. This highlights the how autonomy and accountability complement each other. Private schools have also been shown to improve schooling in Indiaand Kenya, though other reports on private voucher programs in Chile and Catholic schools in the United States show no effect. The idea from these mixed results is that private schooling in countries with weak public institutions could benefit from private schools while in developed countries its questionable. A final factor on improving educational quality is equity. Another study by Hanushek and Woessman showed that the earlier that tracking, or placing students into different classes or schools based on ability level, the more inequality there is in the system. As family socio-economic background is one of the major determinants of educational attainment, Hanushek and Woessman show that background is negated the longer that there is no tracking. This partially why Pasi Sahlberg, director of the Finnish Ministry of Education’s Center for International Mobility, has been emphasizing that the Finnish school system reformed decades ago to make education more equitable. Subsequently, test scores improved. Education and its effect on human capital is probably one of the most important factors in development. Slowly, we are moving away from the model of just building schools, and realize that the quality of instruction also matters. In different circumstances, pre-primary education, choice in schools, autonomy, and equality have all been shown to have some impact in multiple countries. Now it’s simply a matter of determining which course of action is the best and for what circumstance.